With marijuana laws seemingly changing every day, it is important to stay informed. After all, the potential of legal trouble is a risky prospect. But it can be a challenge to keep up sometimes. If you have questions about marijuana laws in Virginia, we recommend contacting a criminal defense attorney. A number of new laws came into effect in Virginia on July 1, 2017, according to an article by The Associated Press. 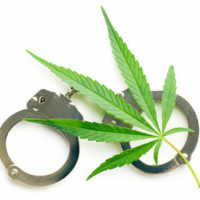 One of the new laws modifies the penalty for the drug crime of marijuana possession. Passed as HB 2051, the Virginia General Assembly decided to adjust the driver’s license penalties for simple possession of marijuana. Unlike other drugs offenses, the penalty for simple possession of marijuana will not include the six-month suspension of a driver’s license. But if an adult convicted of marijuana possession retains their license, they are subject to 50 hours of community service in addition to other penalties. There are two important exceptions outlined in HB 2051. First, the bill does not adjust the penalty for juveniles. Only adults can retain their license if convicted of marijuana possession. Second, if the offense occurs while driving a vehicle, then the court must suspend the driver’s license for six months. Outside of certain exceptions for medicinal use, marijuana remains illegal in Virginia. The rules and penalties change depending on the offense, varying greatly from simple possession to distribution or sale. Starting with the most basic offenses, we outlined several important considerations below. Simple possession of marijuana refers to the possession of less than one half ounce. On the first offense, simple possession is a misdemeanor crime that carries a maximum penalty of 30 days in jail and $500 in fines. On the second offense, simple possession is a misdemeanor crime that carries a maximum penalty of 12 months in jail and $2,500 in fines. In certain cases, first-time offenders can be eligible for probation instead of jail time. The probation terms may vary, but generally include drug testing and community service. If a first-time offender violates the terms of their probation, they may suffer the maximum penalties outlined above. If you are curious and want to learn more about Virginia’s marijuana laws, please feel free to check out an overview guide we created for our blog. Going through the criminal justice system can be a very trying experience. There are many considerations at play, and your liberty may be at stake. A knowledgeable criminal defense attorney can make all of the difference, guiding you through the process and explaining everything along the way. If you are facing criminal charges, please do not hesitate to contact Simms Showers LLP immediately. Conveniently located two blocks from the County Courthouse in Leesburg, Simms Showers LLP represents clients throughout Northern Virginia. You can reach our attorneys by phone at 703-997-7821 or online by completing a simple form.